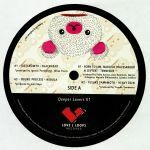 Review: New Argentinian imprint Love & Loops present an impressive various artists EP exploring their aesthetic of deep and minimal house. 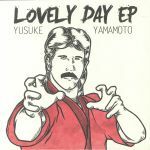 Deeper Lovers EP features four deep and groovy tools for all kinds of dancefloors. First track "Blackhead" from JustGrowth is deep, subtle and hypnotic in the vein of Romanian sounds of present, while fellow Argentinian Sound Process' "Nebula" goes for a classic Windy City sound with its evocative Rhodes chords throughout. On the flip, Born To Jam, Marcelo D'alessandro & Seiffert present the booming old school bounce of "Tennessee".